Okay so give me a few seconds to be annoying and fan girl here, but I don’t think I’ve ever gotten a product this soon after it’s release. 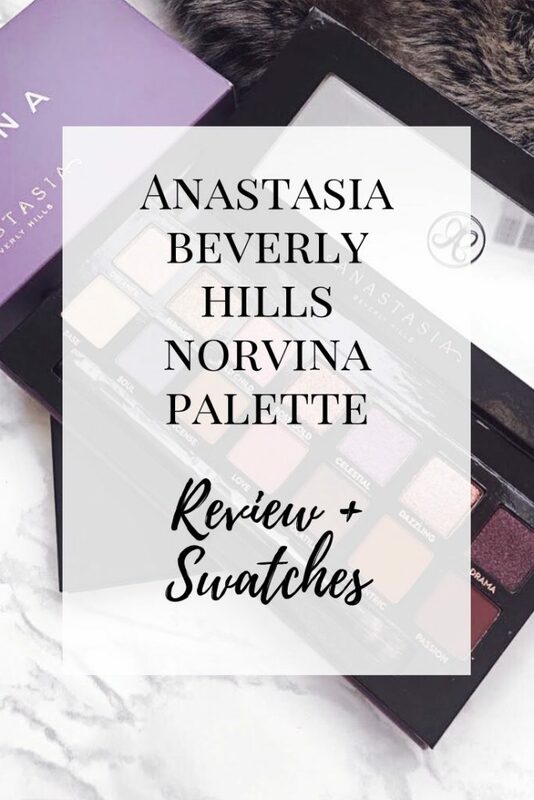 I usually wait around to buy a product, ya know check out the reviews, find out what the general public thinks of it first, but I actually followed the Anastasia Beverly Hills Norvina palette until it was released and got myself one as soon as it came out! Honestly, it’s been a long time since I was this excited for the release of a new product and I’m so happy I got my hands on it right away! I was initially drawn to the color of the packaging, I think that’s where this little love affair began. Don’t worry, I’d never buy a product solely for the packaging, (or would I? ), the shades inside the package are just as gorgeous! I love using purples, because they really work to make my green eyes pop! Honestly, this whole palette gives me serious princess vibes! 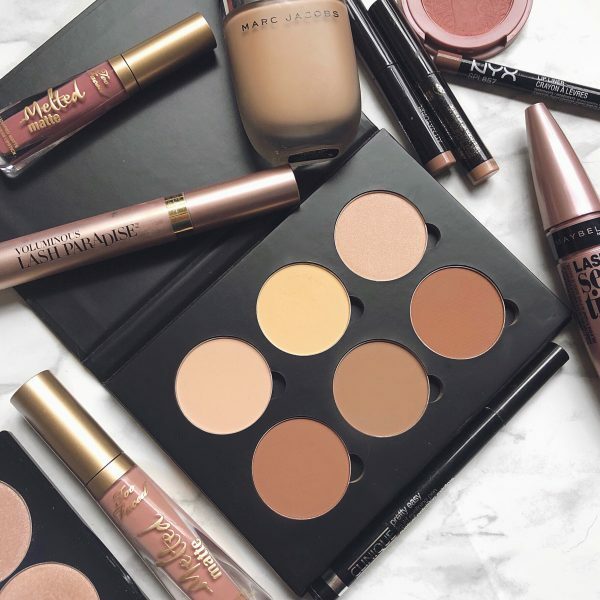 Anastasia Beverly Hills is, in my own opinion, a flawless brand. Every product they release is amazing, they live up to the hype, and I’m always left hella impressed. That being said, not every product is a win, and just because you have a good rep, doesn’t mean the product will be good. 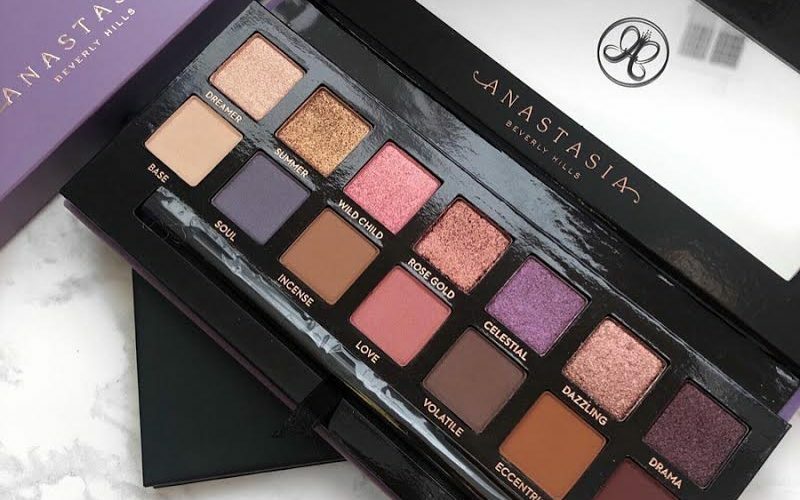 So is this palette worth it? Does it live up to the hype? This post may contain affiliate links. If you make a purchase through these links, Alexandra Quinlann will receive a commission by referring you, at no extra cost to you! You can read more about affiliates in my disclaimer. 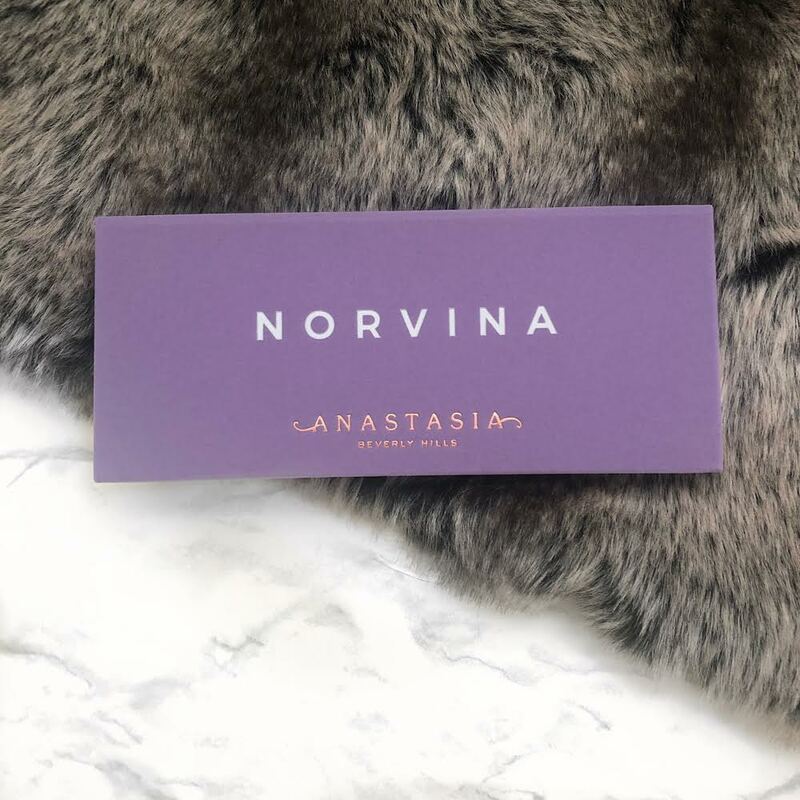 The Anastasia Beverly Hills Norvina Palette was first released on the ABH website on July 27th, 2018. Like the other eyeshadow palettes from this brand, this palette has 14 shades and it comes with a dual ended brush. 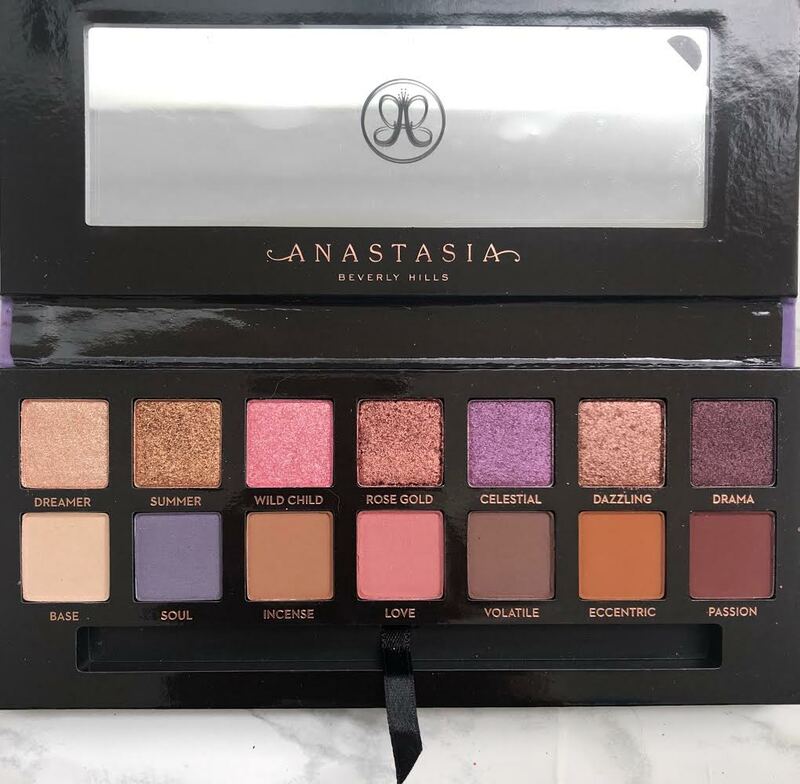 You can purchase this palette at Sephora, Ulta, or straight from the Anastasia Beverly Hills website and just like the other Anastasia Beverly Hills eyeshadow palettes, this one retails for $42. It comes with 14 shades, 7 shimmers and 7 mattes. Telling ya’ll that I love this palette would be an understatement. I’m obsessed, I can’t get enough of it! 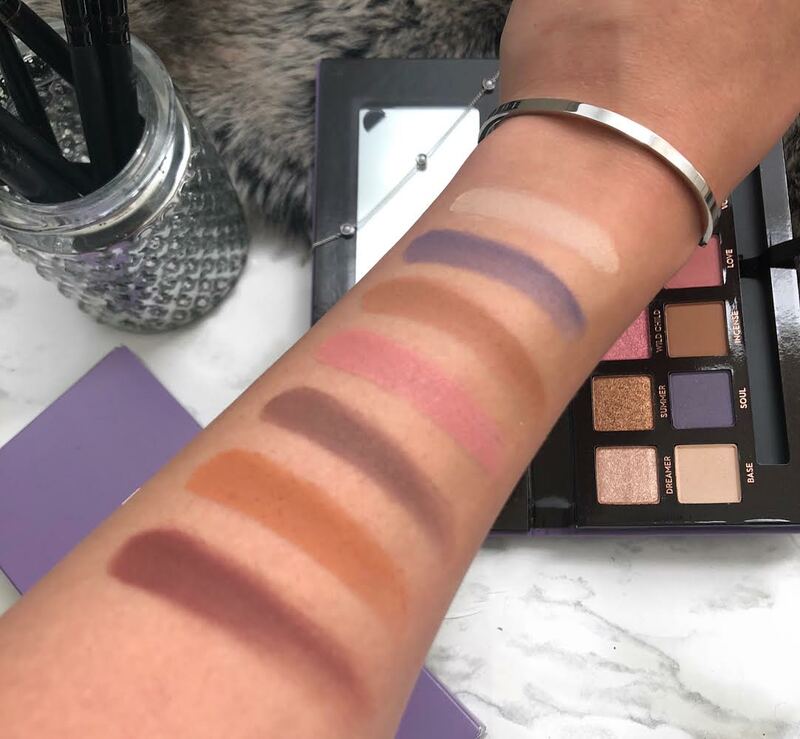 The shades are stunning, I especially love the soft pastel purples and pinks in this palette. 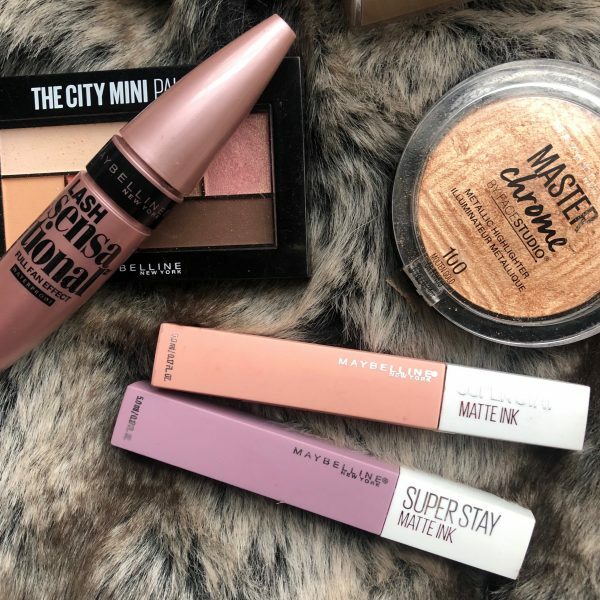 They’re different from what we’ve been seeing from brands lately, (don’t get me wrong I love warm toned oranges and reds, but is anyone else getting a little bored of seeing them everywhere?). I also love how it comes with those useful, everyday neutral shades so there’s never a need to grab another palette when trying to create a look. As far as how well the Norvina palette performs, it doesn’t disappoint. Every shade feels smooth and creamy to the touch and they all swatch so nicely. There’s also little to no fall out but the shadows aren’t packed too much either. They’re literally perfect! On the eyes, it’s even better! The shades all blend perfectly, the color pay-off is incredible, and they last. You can create a ton of pretty looks using this palette. You can go bold, you can keep it natural, and this palette is perfect for creating soft, whimsical looks. It’s giving me all the princess-y vibes! Uuuh..duh! Let me break it down for ya. You get 14 shades, an equal number of both mattes and shimmers that range from bold to neutral to pastel. The shades are both gorgeous and unique and there’s a range of looks you can create using just this palette. The quality is amazing! They swatch well, they wear well, and there’s consistency, which is really important! 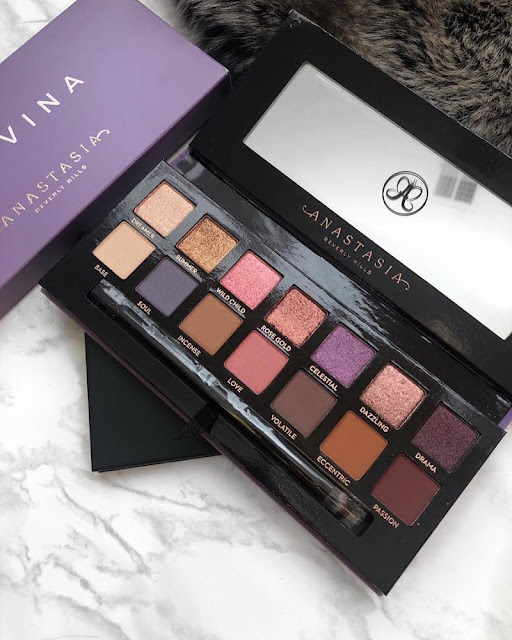 The only issue I’ve come across from the Norvina palette is that the price could be seen as a little high for some, but there are palettes out there that cost double or even triple! Plus the way I see it, if a product works well, and if it’s something that makes you happy, price doesn’t matter. If you love beautiful colors and you enjoy using products that are both high quality and consistent, then yes this palette is 100% worth it! What are your thoughts on the Norvina palette? Have you tried it? Did you love it or could you live without it? Those colourful shimmer and matte eyeshadows look very pretty. 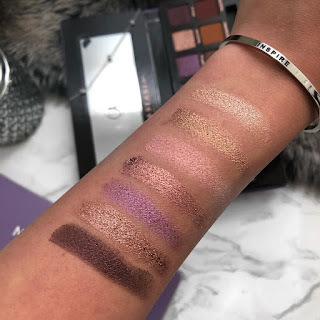 I love how they look applied as swatches on your arm, and can imagine them being used in the creation of a lot of different and beautiful eye-makeup looks. Great review! The palette looks absolutely amazing, so pigmented and such a gorgeous range of shades!